It goes without saying that a showroom and lots full of cars are worth a whole lot of money, so dealers have to take their dealership security seriously. In addition to keeping their high-priced vehicles protected, dealerships must also focus on keeping clients and employees safe, as well as keeping their data secure. According to the FBI’s Uniform Crime Reports, a vehicle was stolen in the United States approximately every 46 seconds in 2014. Needless to say, burglars are drawn to high-value items that end up returning a high profit. It’s important that dealerships do not make it any easier than it already is for burglars to breach their security. Let’s take a look at what is needed to achieve this level of security. Once all the weak points have been identified, it’s important that you work to secure them. Here are ways you can do this effectively or each area. The perimeter of your dealership is your first line of defense, and it’s in your best interest to keep it as secure as possible. Make sure that there are clearly outlined entry and exit points, and that fences, walls, and gates are used to demarcate the surrounding area. In addition, the use of motion sensors, surveillance cameras, and a security system will increase your level of security. It’s also a good idea to have entry access points that are manned or sensor-controlled in order to minimize the chances of someone making off with a vehicle. 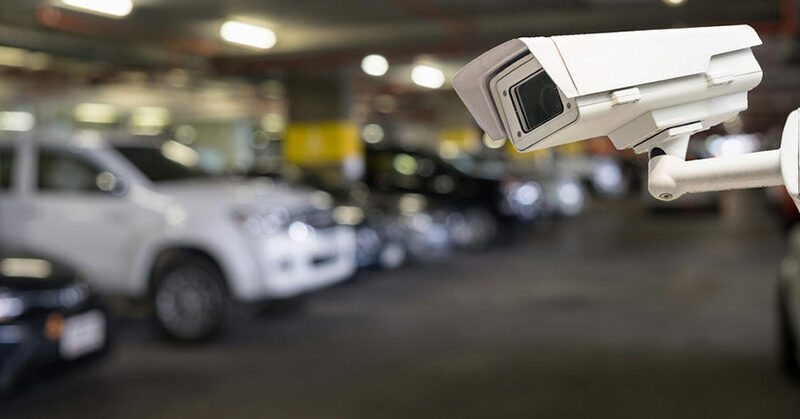 The perimeter security measures that you put in place should keep your vehicles and your dealership safe, even when you are not there in person to monitor them. The last thing any dealership wants to do is attract burglars, so high-valued vehicles should be stored in showrooms and garages, rather than being left outside. Securing the parking lot goes a long way toward keeping your vehicles safe at all times. For the vehicles that remain in the parking lot, make sure that each of them is parked with the handbrake on and the tires rotated either to the left or the right, which makes it hard for the car to be moved. In addition, use steering wheel locks and wheel locks on all vehicles. Dealerships should also employ parking blocks around the vehicles and around major entrances and exits. This will help deter vehicle thieves. Visibility is one of the main factors that ensures your dealership is being kept safe. It’s also important to make sure that employees have a clear view of the exterior from the showroom. There should be no banners or posters obstructing their view. In addition, make sure that windows, doors, and other openings are all securely locked when no one is at the dealership. It’s important for both employees and clients to know if there are any access restrictions in place in the showroom and main building, so utilize signs that clearly state who can be where. This is especially important to make sure that the keys to the vehicles are kept safe. As stated previously, visibility is a major key in dealership security and safety. Therefore, exterior and interior lighting is extremely important. Dealers should make sure that they have adequate lighting for the entire exterior of their dealership premises, and for the interior as well. Increased visibility leads to increased security. It’s not always just burglars and criminal that pose threats to dealerships. Threats can be because of actions that are taken by the clientele or even your own employees. It’s important to make sure that your employees are made aware of the fact that they are also play a role in keeping the dealership secure. Cultivate an environment of honesty so that all staff members of the dealership don’t hesitate to take action when they witness something out of the ordinary, whether done by a client or a fellow employee. There are many factors that go into making sure you dealership is always kept secure. The factors discussed in this article should are an important start toward creating and maintaining a secure facility. Keep in mind, however, that your security program should not end here. Many other steps can be taken in conjunction with the points given here to provide your dealership with maximum security. As long as safety and security are your top priorities, however, then your dealership is on the right track. Ralph Goodman is an auto locksmith and an expert writer on all things lock- and security-related at United Locksmith’s the Lock Blog. The Lock Blog is a great resource to learn about keys, locks, and safety. It offers tips, advice, and how-to’s for consumers, locksmiths, and security professionals.